I have now been back in East Africa working in the Tech scene for 3 months after 7 years working in silicon valley. I attended one major conference, hang out at incubators/workspaces in Tanzania and Kenya meeting with the startup community… Spent time in the rural areas of Tanzania on a solar tech pilot and advised many startups in the region. Its only too easy for me to start draw comparisons about the differences I have spotted compared to working full time in Silicon Valley. Its been a hard post to write because each of the factors identified below are intwined with others, yet they are distinct- someone or an organization exhibiting one is probably showing tendencies of a few others to some degree- as you’ll see I’ll refer accordingly so you might have to jump around between the points whilst reading. To be clear- this is more about pointing out the differences and the realities of doing business in East Africa from outsiders/diaspora coming in point of view- it serves to highlight the challenge trying to “emulate” Silicon Valley as the gold standard for Tech in Africa. 1. Media events/competitions/awards are plenty, but experience tech entrepreneurs, increasingly distracted, still lacking: I have tweeted countless times about the number of events that happen on and offshore that attract the very few quality speakers or startups to talk about their experiences. I believe the supply is greater than the demand right now- whilst more media events, competitions drives awareness of the industry and could even lead to the exposure/business deals and hence growth a company needs, I believe it can also draw the few entrepreneurs away from their work and give a false sense of security in achievement- at a crictical time when we need more real tech company successes before we celebrate prematurely. The fact of the matter is in Silicon Valley, the top entrepreneurs and execs are highly selective of the events they go to- At the extreme you never see an Apple exec talking at a conference, whether World Economic Forum (WEF) Davos or Consumer Electronics Show (CES) in Vegas- their stock price shows the results of focus- which means shipping a quality product, getting customers and revenue. So if you are a startup focusing on East Africa, what good is it in attending a conference in Cape Town on a totally different vertical you are addressing? Of course, I am not saying never attend conferences- I say, there is a need to be selective and systematic, apply a business case. Take this 3 point rule: 1)Are you panelist or speaker that can add value 2) Are there potential business partners or customers 3) Are you announcing or selling something to the world or that region based on the reputation and audience reach of that event? Being systematic and learning to say no shows discipline in the face of a free flight, free accommodation to Cape Town (or often not, pay your own way!). If I hadn’t decided to attend Pivot East last year (then Pivot 25), I might have never had the fortune of running into Erik Hersman and Ben Matranga who kicked of the idea for Savannah Fund or even seen the talent to make me believe in focusing on the East Africa tech ecosystem. One of my best friends and recently turned Tech Entrepreneur in Tanzania decided not to attend Pivot East this year even after I gave him a 3 month reminder- I really believed it would be good for his startup to get the exposure and be able to hire and find investors vs e-mailing back and forth with someone you’ve never met or has never been to Africa on Angel List or VC4Africa– or maybe he is indeed quietly executing and the conference was a distraction- time will tell. Meanwhile foreign investors need to show more patience and move away from what I call “driveby investing”, a term I coined and believe many are engaging and missing opportunities as result- These events encourage such behavior by firms headquartered abroad – real investors should invest accordingly, hiring local talent and take the time to understand the region beyond the events and sponsoring competitions. Foreign AID donors fall victim to the same issues too. Let’s not fall into the “Conference Ho” trap. And even worse there seems no end in sight for yet more contests e.g. Innovation Prize Africa backed by UN not to be confused by African Innovation Prize backed by a UK charity. Can you tell the difference? Who can add the most value given the time it takes away from a startup to apply and attend these contests? 2. Over-reliance on Intellectual Property (IP) vs execution: I still notice that many startups find it hard to disclose their “idea” and hence make tangible progress- it probably arises from experiences or stories and hence fears of the telecom companies stealing ideas. For the mobile ecosystem this is a very real issue that plagued even western Tech ecosystem before the arrival of the App Store. But its still prevalent now (effectively, working in say mobile tech in Africa feels like working in Silicon Valley pre iPhone- and before iPhone there was no thriving mobile ecosystem for independent developers to build companies). 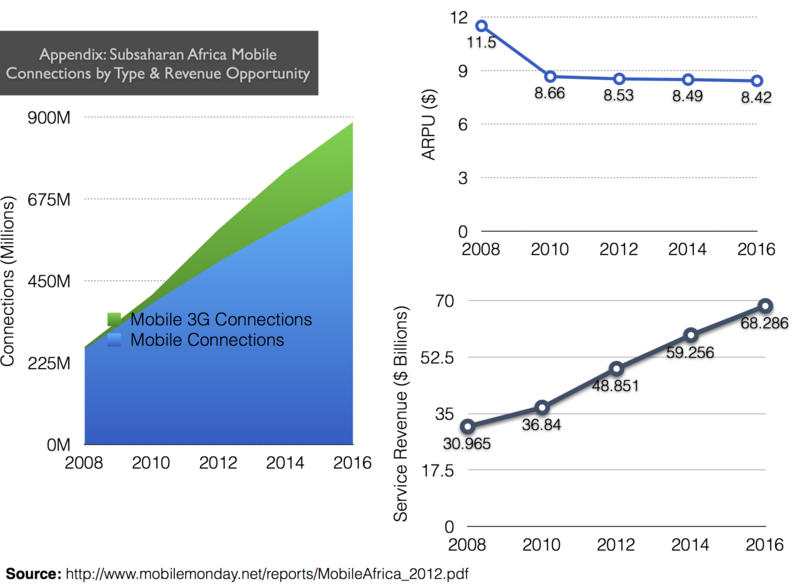 Africa really came into tech in a broad way in the mobile era, but the power dynamics still favor the Telecomm/MNO companies like its 2002 in the west (maybe Android will change that, but not as long as feature phones still dominate…). As a result, barriers get setup with NDAs without thinking about the consequence it has on a startup’s ability to hire or raise funding or be transparent (see my last point (5) on transparency). There is a widely held belief, that protecting the “idea” is not progress, its just sitting on it and hoping the best happens- but even those who preach it don’t practice it and this is often common on all ecosystems. The fact of the matter is there will always be copying and an even bigger reality is that you can’t stop it at the early stages- Startups should focus on execution and differentiation- one should be flattered when others are copying, after all isn’t your idea an adaptation or built on the shoulder of giants? (see point 4- tech is not a zero sum game). It can even reassure investors that you are onto something and better yet, the competition should drive you to double down and focus on the business and not be lead astray (see points 1 and 3 on events and workspaces). I have been a victim in underestimating execution potential- I have written essays on Kiva, Admob and even SpaceEx in the early days and seen them rise right under my nose- I had access to the founders whilst at Stanford and with my non western/silicon valley thinking at the time only having lived there 2 years, I watched these companies execute whilst in my head I worried how they might get crushed by giants or the “industry structure”- it never happened, they infact changed industries and were ahead of their time. Look where they are now 7 years later? Others have copied their model, but they have thrived on execution. You could argue there is less or more reason for Telecomms/MNOs to “steal” ideas in the mobile space- just take a look at the tumbling Average Revenue per User (ARPU) and projected services revenue- do you expect them all to come from mobile operator enabled services? There is room for more innovators than just the telco stealing and owning every idea. 3. Rise of Workspaces/incubators makes it easy not go out meet and care about serving customers: Whilst the growing workspaces are a great place to connect fragmented tech scene in each city or region also driving awareness, collaboration opportunities and ultimately bring legitimacy of tech in a given region- you have to ask what are all those people doing there from 10am-6pm every day? Say they are indeed coding furiously or building out their startup- there is a danger of not going out there and testing a product with real customers. Which means no customer insight, which in turn means no sustainable revenue or partnerships anytime soon which means over-reliance on the product or perceived valuable “IP” (see point 2 on IP vs execution). If you are building a startup that is meant to change the face of mHealth in Africa forever you should be spending time at clinics, hospitals and patients not that extra hour at the tech workspace. On the flip side, when I was out in Musoma, Tanzania helping out on a solar tech pilot for Angaza Design, it was incredibly hard to explain to the solar NGO and customers the fact that the product was not complete and this was a pilot to get their input to better refine, iron out bugs, test assumptions in the aim to improve and release a functional and valued product- even though customers wanted to buy products on the spot- they were even more amazed that the original engineers from California had flown all the way to them to solicit their input. As you can imagine, winding up the pilot was even harder and caused a lot of “emotional” problems. Were we abandoning them like everyone else after a grand experiement? The pilot model may have infact damaged a relationship in that region & local community, whose very buy-in you need to execute and scale out down the line… But no doubt, Angaza learnt a lot and are adjusting accordingly. I hope that once they scale, the people of Musoma will benefit. Its important that pilots adopt a “do no harm” comprehensive strategy when using communities as guinea pigs- inc. follow up tech support or even reimbursement if the product or service does not meet expectations. This happens in Silicon valley with many cloud products though- “Sorry, we are shutting down this service, you have 1 month to download your data”- its not called a pilot, maybe a beta product. The difference is that in Africa, you could be literally playing with people’s lives, not just another photosharing startup they can toss out and maybe users care about “privacy” vs being able to save money on kerosene and help their children study safely using LED lighting. 4. Recognition that Tech is not a Zero Sum Game- its more a Long Term Game: Levels of collaboration and partnerships and the speed to which they happen are still quite low from my perspective so far. Many emerging market legacy business culture stems from building a conglomerate where you control everything due to historical low levels of trust and difficult doing arms length transactions in Africa. E.g. “lets own the distribution channel because there are no competent distributors.” all the way up to let’s build ecommerce sites because even though we do payments, no one else builds decent ecommerce sites leading to overstretching and sometimes a percieved lack of focus (see final point 5- focus). Fact of the matter is that competition and specialization is good and there has to be some level of cooperation because the tech industry depends on it. The very computer or phone you are reading this post from probably has several companies competing and cooperating to give you the experience you are enjoying (some have even copied good ideas and improved or adapted from others- see point on IP vs execution). Africa tech companies need to increasingly adopt that mindset to grow the pie for everyone which means everyone can benefit vs try to strike it alone. Tech is not a zero sum game- the emergence of Microsoft, Apple, Facebook and Google has grown the web/mobile ecosystems many-fold unleashing value creation and disruption in almost every single industry from advertising to entertainment. In Africa, because of legacy business culture thinking if I “own this mine or land- it is my own, you don’t have it so you lose, I win”. If you are in a related space with a supposed competitor, are they really a direct competitor? Why not talk to each other and see if there some scope for a level of partnership? At the same time, someone from Silicon Valley can’t assume that its easy to trust everyone in Africa- that is not a reality today- there are simply incompetent companies out there that look big or lack capacity to actually create or deliver on a potential partnership. Africa is yet the ideal meritocracy where the best companies win. I get bombarded from Silicon Valley companies wanting to collaborate with local African tech companies but the list for somewhere like Tanzania is short- or maybe I make a referal and that company is exhibiting the wrong cultural behavior to meet expectations (see all the other points). 5. Transparency, Clarity & Focus: This is one of the strangest ones to explain- Best example is on twitter, LinkedIn or facebook- I’ll get people reach out but their profile is extremely limited or they are using an alias where you can’t gleam in 1 min whether the person you should further engage or not. In a perfect world, everyone would want to meet everyone, but I don’t believe its productive if your goal is progress in whatever you are doing in a reasonable time. Similarly, I found that startups disclose even less information- when you combine this on (point 2 IP vs execution)– it makes it very hard to collaborate & make business decisions (point 4- collaboration vs zero sum game). A lot of entrepreneurs find it very hard to distill their venture into an elevator pitch that matters hence the value of pitch contests and looking for investors (point 1- media events/contests). Its very easy to spend a lot of time talking about the idea on the phone or rambling on an e-mail without getting to the essence of what makes your startup unique or whether your metrics are indeed to the right to justify possible investment-Beware of vanity metrics, just because the metrics look good to you does not mean they impress investors. As we can see it can be a combination of all the cultural factors above, maybe they never had the time to set up management information systems to track their progress, or they have focused exclusively on building the product (see point 2 again on IP vs execution) and have no customers or revenue. Even in the absence of such data- not doing a good job of explaining the team’s background does not reflect the potential of engaging and this cuts the other way. What does it mean to have been a graduate of University of Nairobi vs another local University like Inoorero? This is a problem in Silicon Valley too, thats why at i/o ventures we invested in CodeEval, a company that allows us to measure coding ability more objectively (I’ll be using it to screen companies applying at savannah fund accelerator)- as we have found even some MIT graduates can’t program as well as they say on their Resumes/CV- meanwhile, in Tanzania, Russell Simmons of Yelp and Paul Bragiel (i/o ventures) met a student who had built his own operating system from scratch! Some of my partners are smart enough to realize things are not always what they seem anywhere in the world and you must engage on the ground to learn the true potential. So when that random person tweets out to me with a blank profile description- am I reading into it too much? Why is that Tanzanian student building a whole operating system instead of tackling one problem? Why does almost every Startup I meet seem to have a web development arm or get into SMS marketing- can they really do them all well, are they just copying the latest hot startup idea (see point 2 on IP!)? One answer I heard from obeservers that makes sense- in the absence of early stage funding for tech and long runway to prove a market, a startup has to find other money making avenues to survive- and there seems to be no shortage of SMS marketing and web development among ordinary businesses. Africa is not Silicon Valley, with a captive audience of tech early adopters for more innovative IT products especially selling to small businesses- I literally watched a startup at i/o ventures go from $0 to $20,000 month revenue run-rate overnight once their article was published on Techcrunch- in fact, they had planned to stay up all night dealing with the demand once the article was published… Maybe the increasing exposure of Africa startups through programs like DEMO Africa or that media entertainment conference in CapeTown is the ticket for African tech startups to get traction faster (see point 1 on media tech events!). Building distribution + monetization is just that much harder in Africa given current payment systems and tech adoption curve. SUMMARY: It’s hard for an investor to fund a startup with little traction and a bias on IP over execution- especially if these investors rely on a few trips a year to Africa tech events as a basis for due diligence and have no local offices. But Startups need to get over their fear of being copied in the face of big companies such as Telcos/MNOs, be more transparent and get to work getting customers and revenue whilst only using the support they need from tech hubs/workspace- not being distracted in attending the growing number of tech events. They need to focus but also be open to collaboration and partner opportunities in areas where they are weak recognizing that tech is not a zero sum Game.